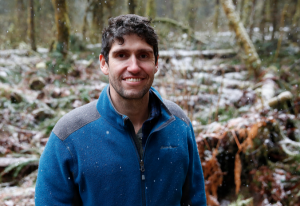 Ben Goldfarb is a “beaver believer.” He’s author of the new book, Eager: The Surprising, Secret Life of Beavers and Why They Matter. We talk about the historical role of beavers in the ecosystems of the entire North American continent, how they were nearly wiped out, and why many communities are brining them back—and with them lusher wetlands and healthier rivers. 20’35	crop agriculture and beavers? 40’31	do beavers over-proliferate without predators?